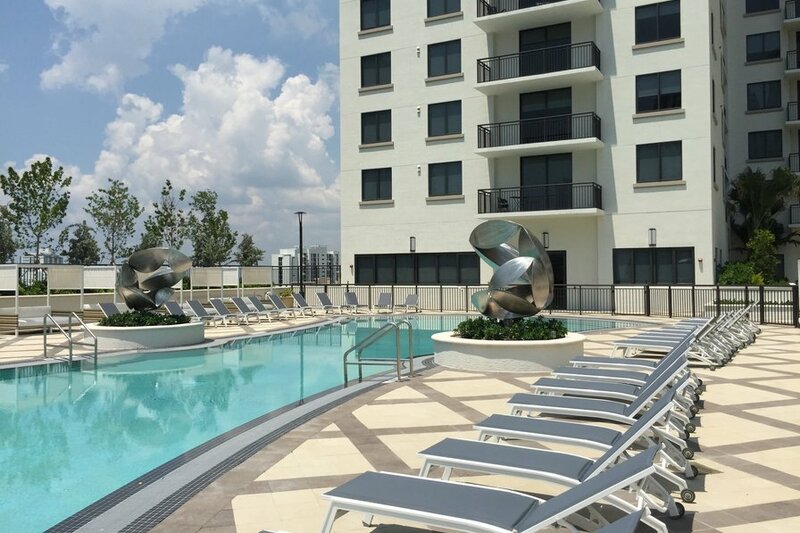 New High Rise building, three bedroom furnished condo in Mary Brickell Village in Miami. Shared swimming pool. Parking and all utilities included. New high-rise sits in the heart of Brickell on Mary Brickell Village. Located in the heart of Brickell's neighbourhood, this condominium offers peerless access to an exceptional and growing array of dining, shopping and entertainment destinations. Guests also enjoy exquisitely landscaped one-acre pool and recreational terrace as well as exclusive spaces for socializing. Property is located within minutes to downtown Miami, Key Biscayne, South Beach, Coconut Grove and Coral Gables with some of the best shopping, dining, cafes, and nightlife it can offer. •Intimate seating areas and dining tables will also be featured on the building’s eleventh floor in a one-acre private park dedicated to lounging, socializing and enjoying quiet moments alone.